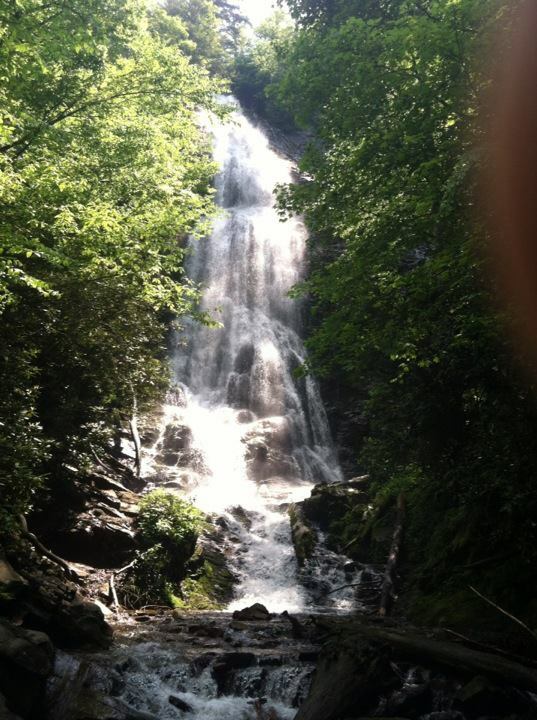 I Hiked Abrams Falls! – and saw some bears! 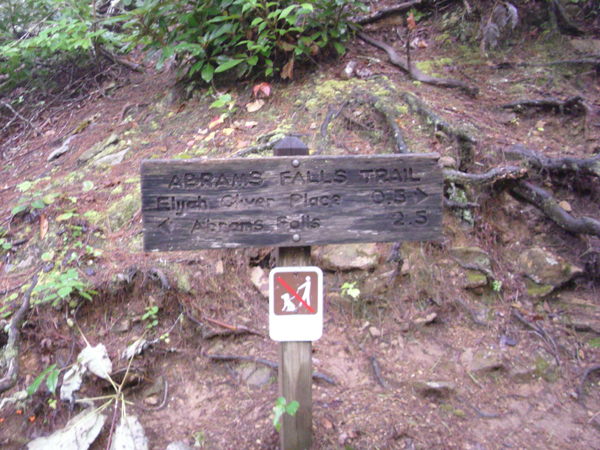 As mentioned in our last post, I intended to hike the Abrams Falls Trail, so on my next free day, that is exactly what I did! 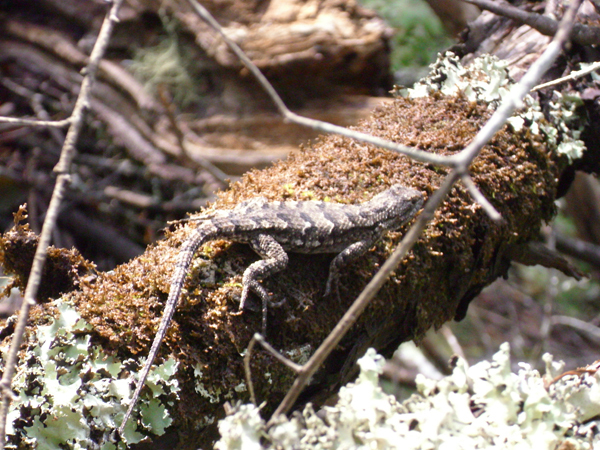 I even saw bears, deer, lizards, and more! For your viewing pleasure, here are some pictures from the day! 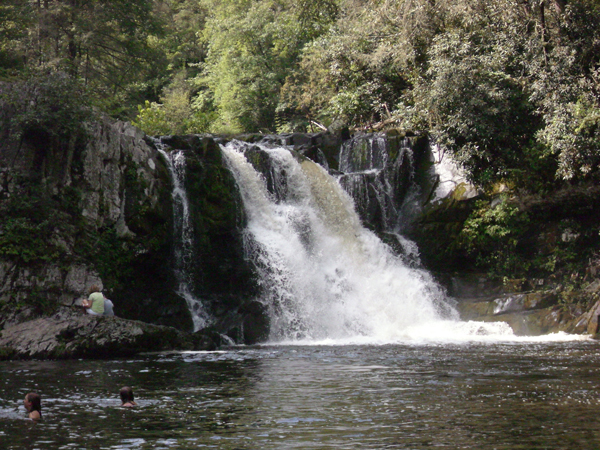 We know how you all love waterfalls! They absolutely mesmerize me, so believe me, I share that love! I have made it my goal to visit all the waterfalls in the Smokies and enjoy the inspirational atmosphere (and take tons of pictures). 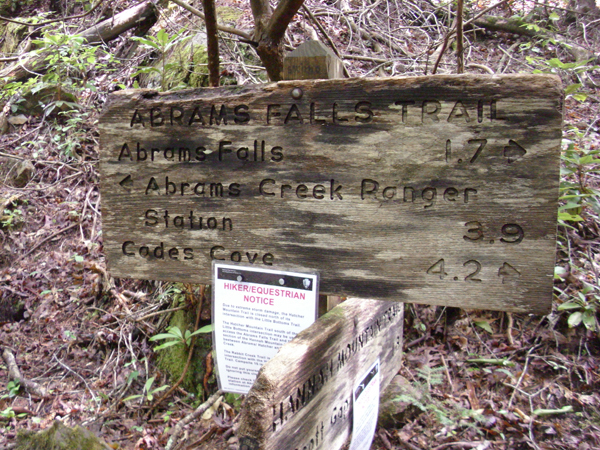 Abrams Falls is the first one on my wish list. 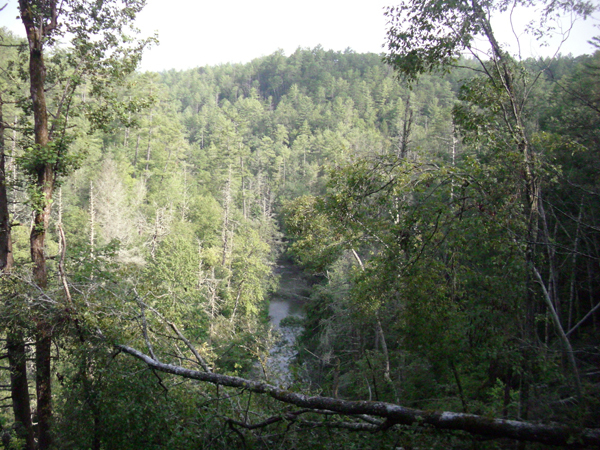 It is only a 5 mile trail, round trip, and considered to be of moderate difficulty. 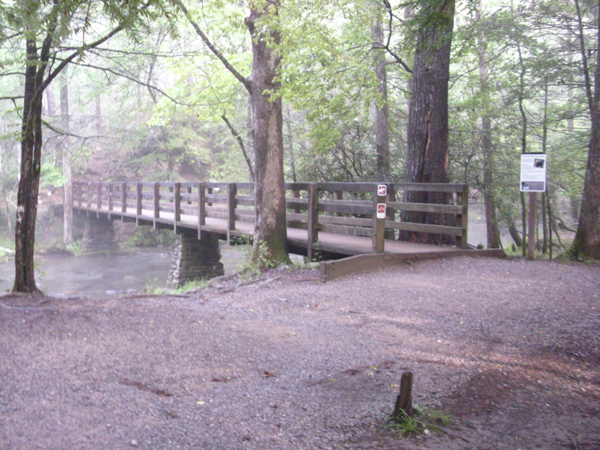 From Gatlinburg, take 441 into the Park, go just past the Sugarlands Visitors Center and follow the signs to the right onto Little River Road and toward Cades Cove. 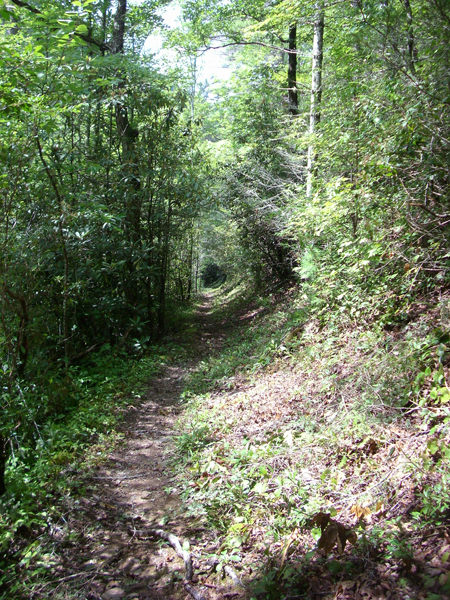 Follow Little River Road through a couple of turns for about 19 miles to a left onto Laurel Creek Road. 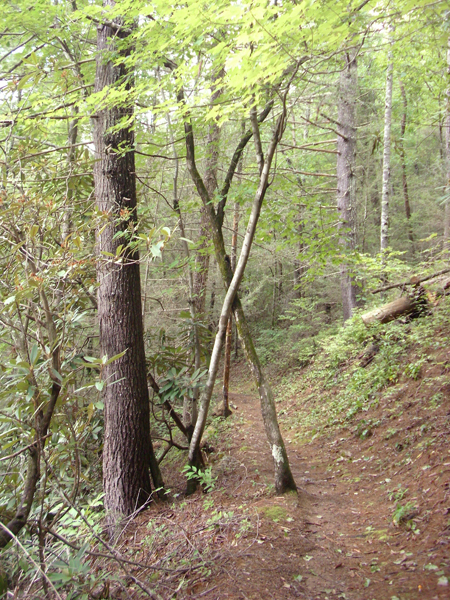 Follow Laurel Creek Rd for about 7.6 miles until it takes you straight onto Cades Cove Loop Rd. 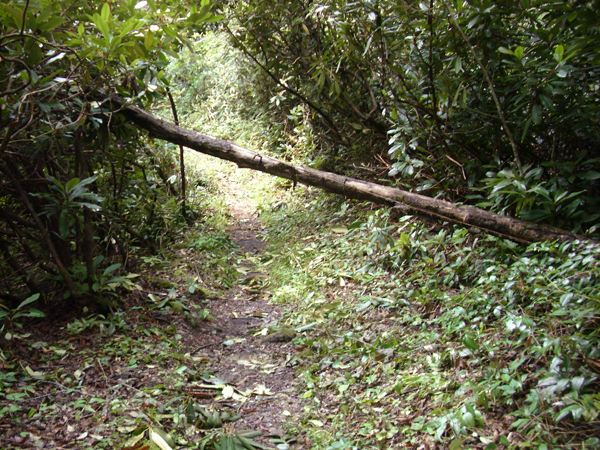 This is a one-way loop. 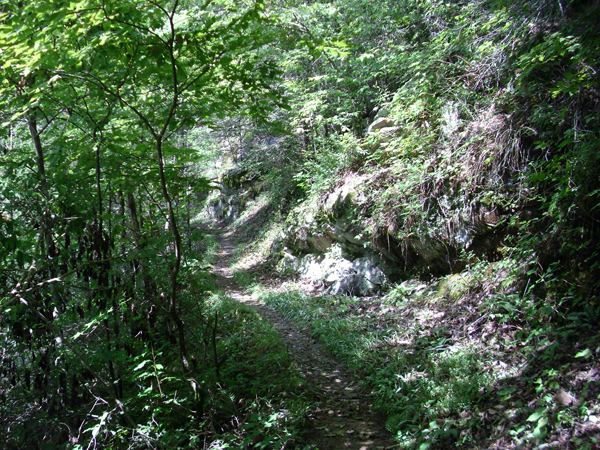 Continue 4.9 miles on Loop Rd to the turn off onto the gravel road that ends at the trail head about 0.5 mile later. 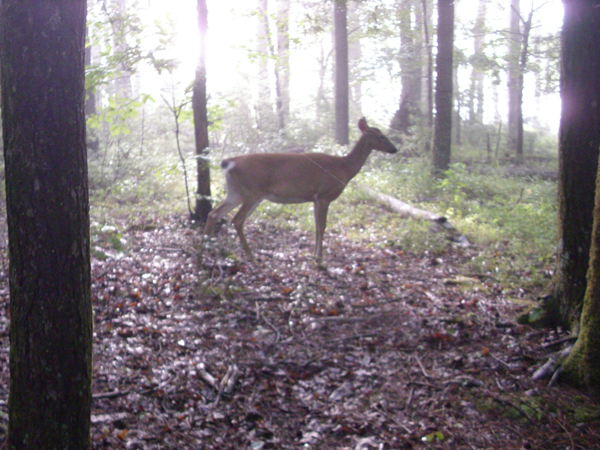 During the summer and the month of October, Cades Cove is so popular that it is usually one big traffic jam! 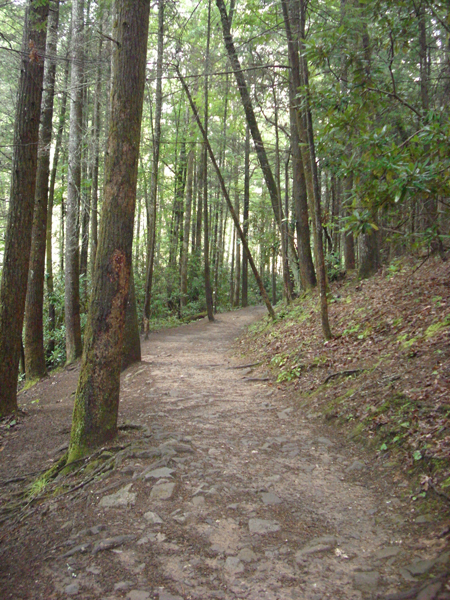 So if you come during these times, plan to arrive at the trailhead as close to sunrise as possible to avoid the traffic, and be prepared to see several other people on the trail, no matter when you come! The Abrams Falls Trail is a 5 mile round trip trail that follows Abrams Creek most of the way and crosses back and forth over it a couple of times. 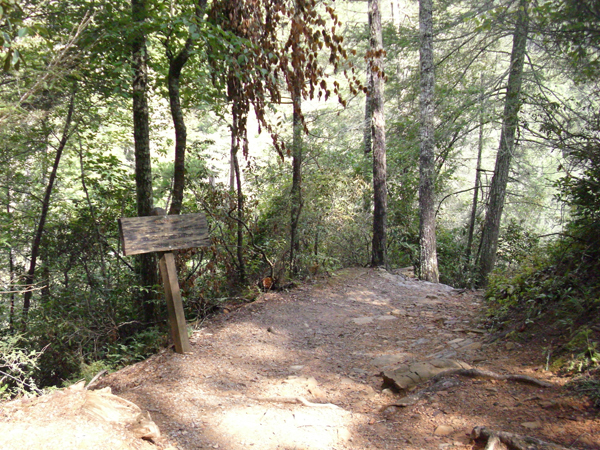 Some websites recommend this as a great trail for beginners and families. 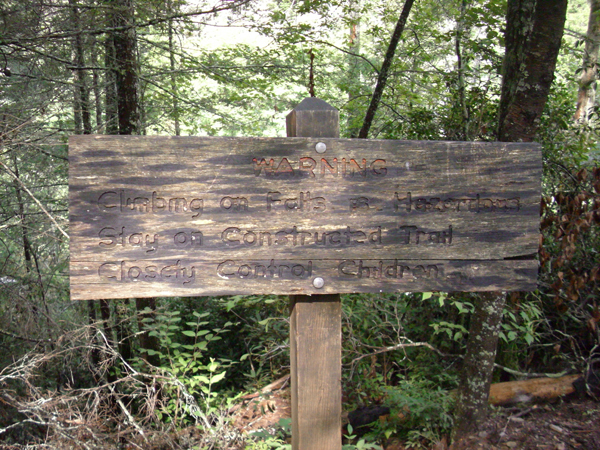 Based on several reviews I’ve read, I would caution that some families with small children may find the trail challenging, though not impossible, but totally worth it. 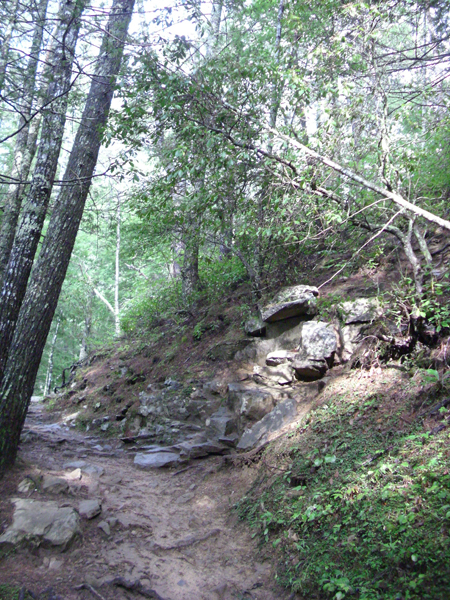 You do climb about 1800 ft at one point, but the falls are actually about 2-300 ft lower in elevation than the trailhead. 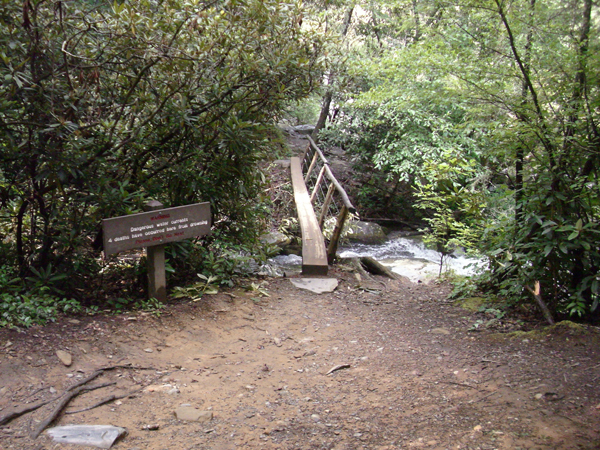 After the falls, you can continue another 1.7 miles to the end of the Abrams Falls Trail, where it intersects with the Hatcher Mountain, Hannah Mountain, and Little Bottoms trails. 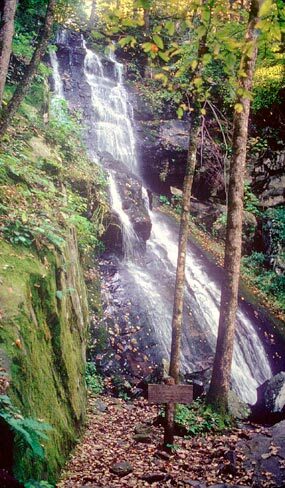 Abrams Creek and Falls are named for a Cherokee Chief named Abram (which, according to some sources was short for Abraham), whose village was once located several miles down stream, on land that is now under Lake Chilhowee. 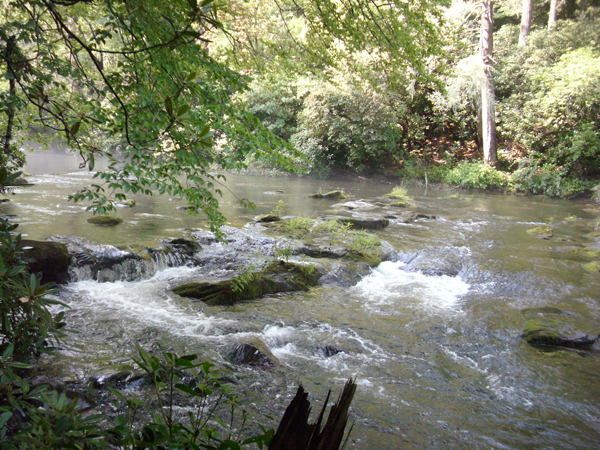 Abrams Creek is a smaller creek at its upper portion, but is fed by 18 small streams, which drain into it shortly before the falls. 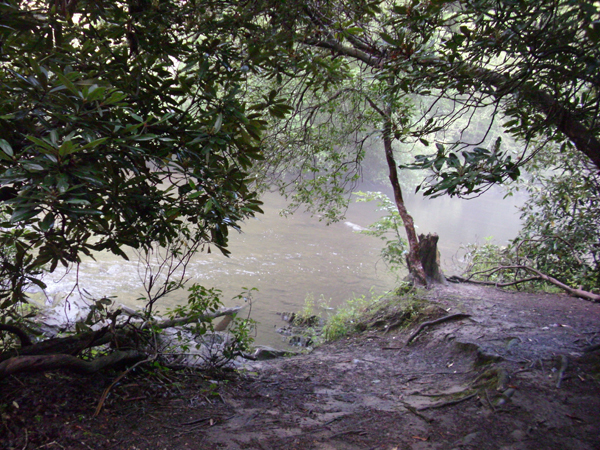 The creek then diverts suddenly into a narrow chute that sends all those waters rushing over the falls. 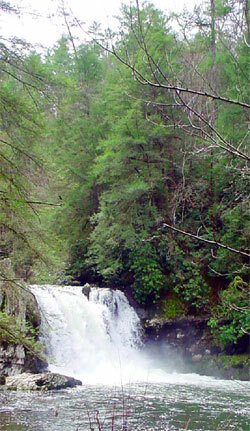 The falls, though not the tallest, at only 20 ft, are awe-inspiring as they pour over into the 100 ft pool at the bottom. The pool is popular for swimming and wading, but we urge you to be extremely cautious and especially watchful over your children. The rocks are slippery, and people have died at this pool. Even adults should always have another adult right by their side. 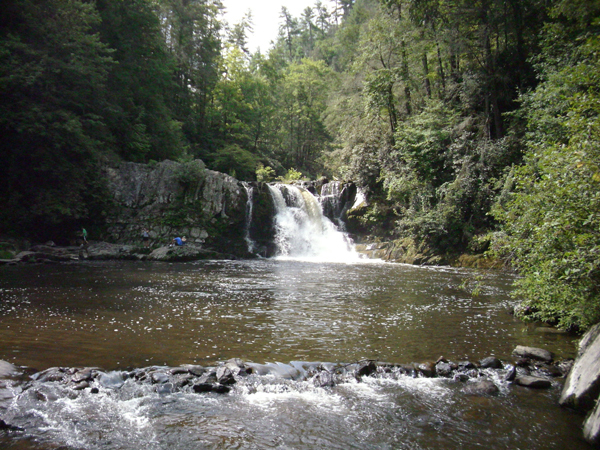 Don’t try to climb the rocks on the side of the falls, and don’t try crossing the creek at places that have strong and/or deep currents. Again, arrive as early in the morning as possible to avoid traffic and crowds. 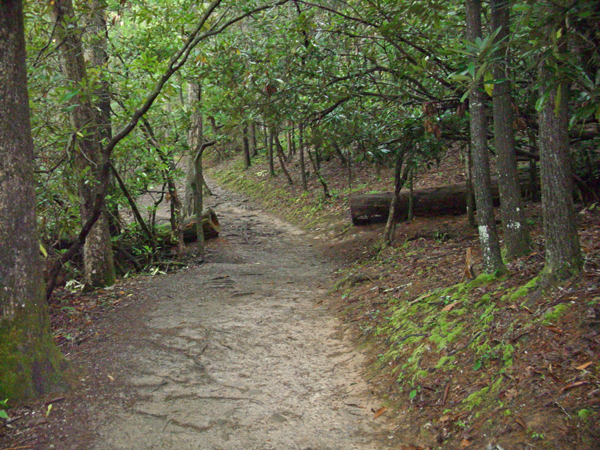 Be prepared to spend at least 3 hours on the trail. Dress for wading and/or swimming. 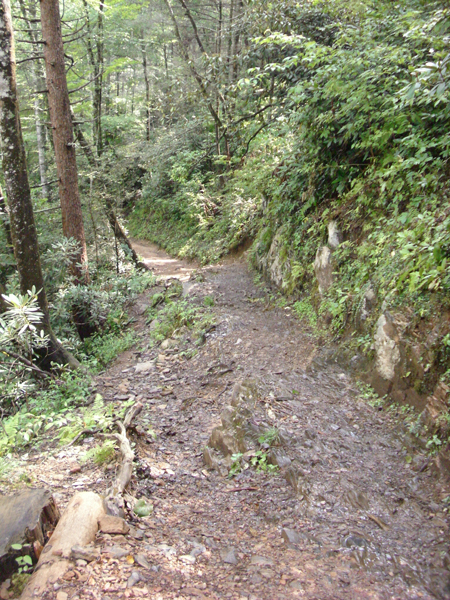 Wear shoes with good support and solid soles as the ground is rocky in some places. Bring a fanny pack or small backpack with plenty of water and snacks, as well as a light rain coat or poncho just in case. Take your camera, and take lots of pictures. 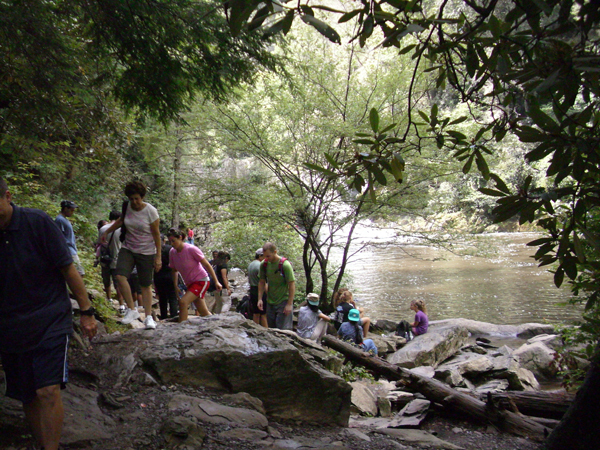 Take some just of nature, but take plenty with yourself and your friends and/or family. You’ll thank me for it! Don’t be in a hurry. The waterfall at the end isn’t the only thing worth seeing. 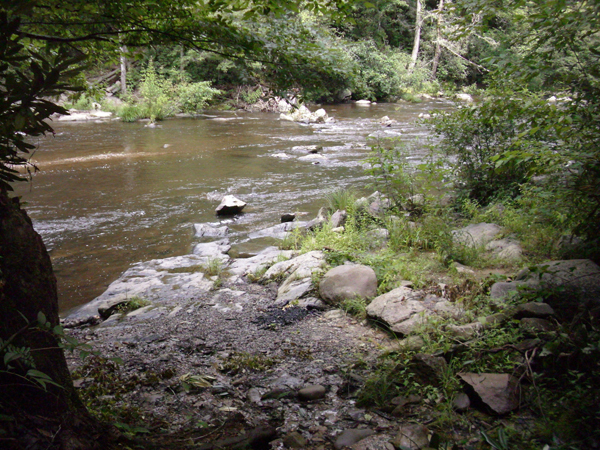 Enjoy the creek along the way. Stop to examine trees, flowers, wildlife. 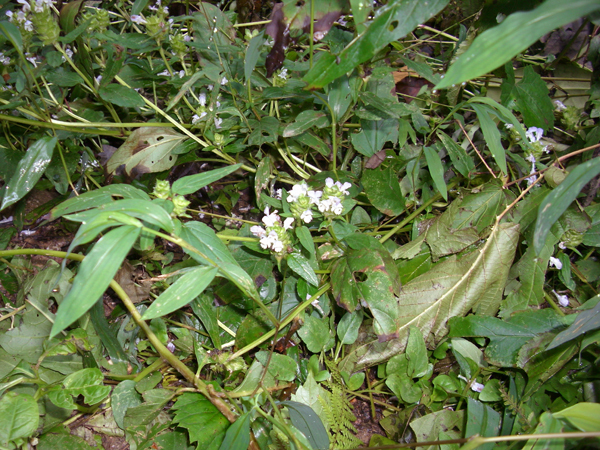 Look for bear tracks. Enjoy the journey and take your time. 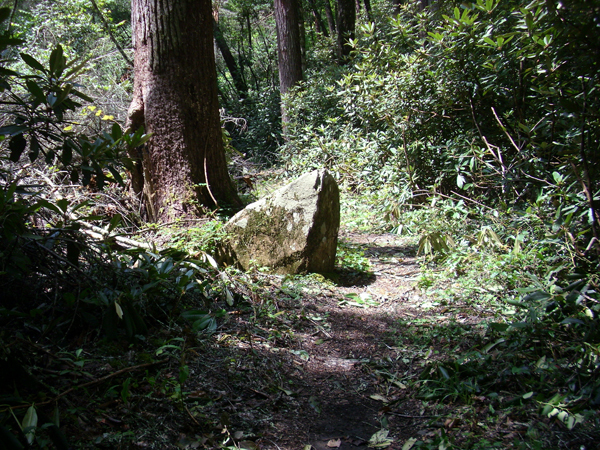 You’ll have a better experience overall, and the trail won’t seem difficult if you’re taking your time. 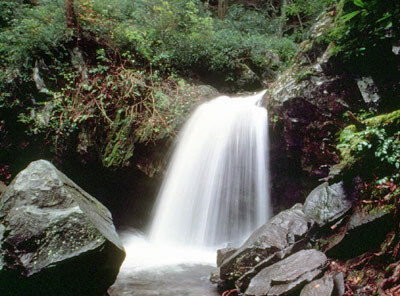 Although they look crystal clear, clean, and beautiful, do not drink water straight from the creeks in the Smokies, without boiling it first, as it does contain bacteria that are hazardous to your health. So many summer vacation destinations involve suffering through abnormally hot days and long exposure to the sun. While this may be attractive to some, there is a way to enjoy warm summer weather without getting fried! 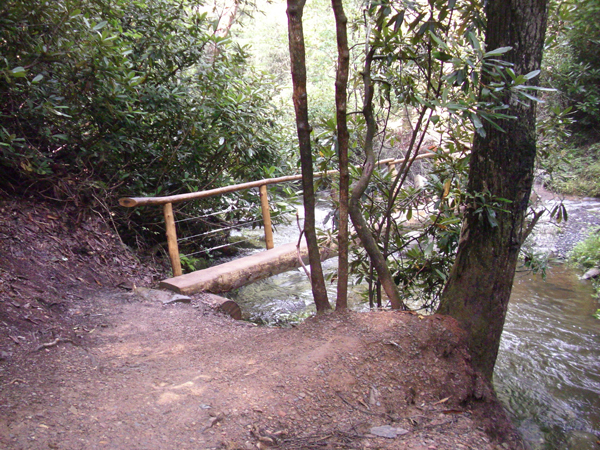 Come to Gatlinburg for your summer vacation and beat the heat, instead of letting it beat you! 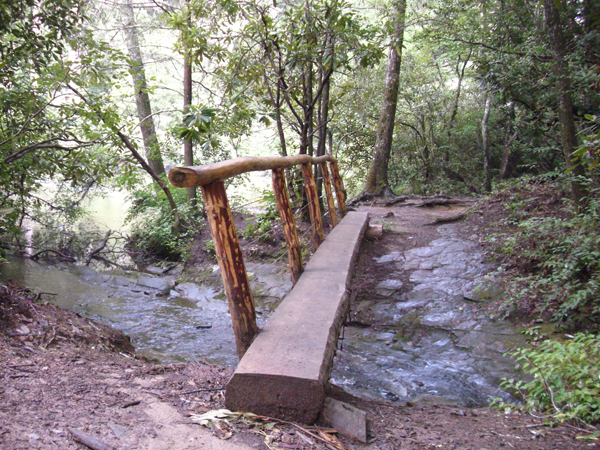 The lush beauty of the Great Smoky Mountains offers innumerable ways to enjoy summer in the great outdoor at slightly cooler temperatures. 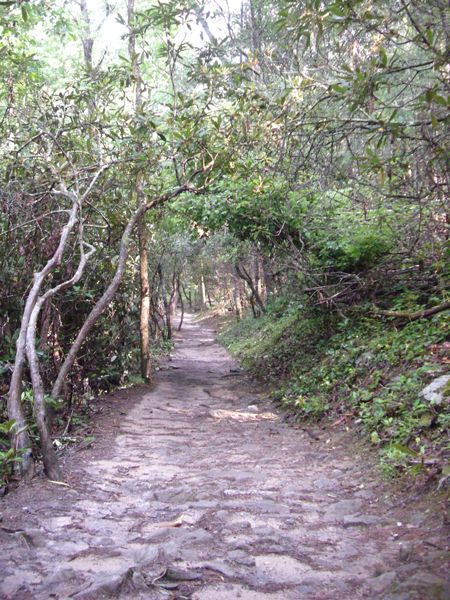 The higher elevations of the mountain destination and the ample shade provided by the forest make for many pleasant, cooler, summer memories! 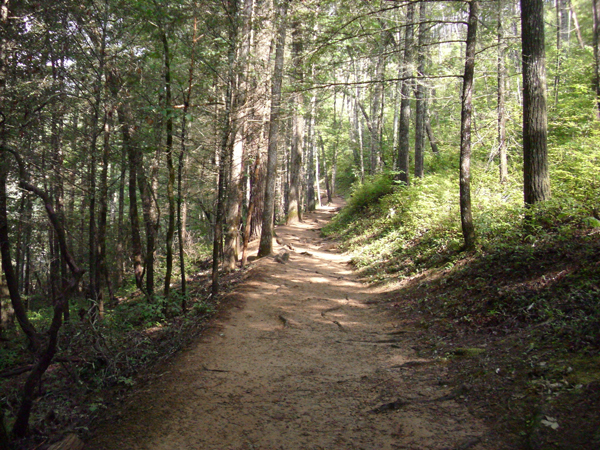 Summer in Gatlinburg and the Smokies is a mild, beautiful season of warmth and green; and as temperatures rise, I find myself searching for ways to spend more time outdoors (preferably in the shade). What better way to enjoy the spring and summer season than a picnic? Whether homemade or store-bought, picnics offer time with the whole family or maybe just a relaxing romantic day at the Park. Check out our related post The Art of the Picnic. Sometimes its better to just get wet! You don’t have to go to the beach to do that. 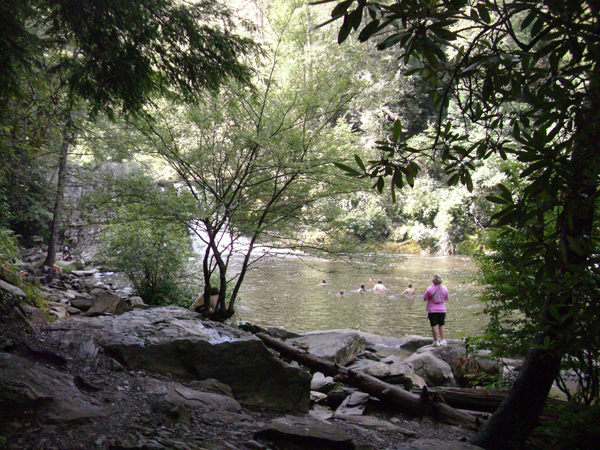 If you’re ok with missing out on saltwater up your nose and seaweed in your bathing suit (and the occasional jellyfish sting), make your way to the Smokies! 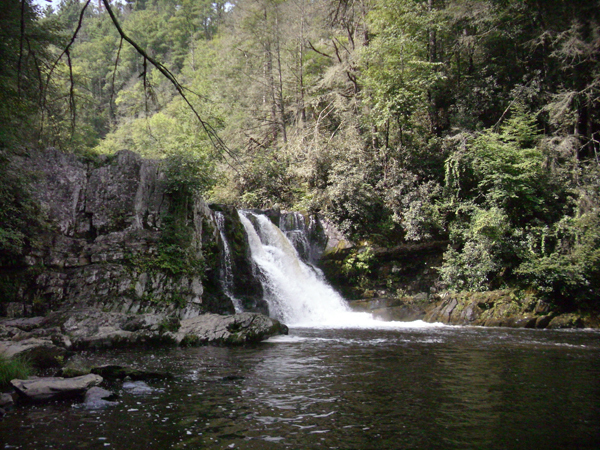 Mountain creeks and waterfalls have always captivated me. 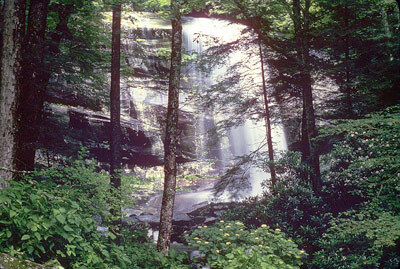 I’d say by the number of views we get on our waterfalls posts, many of you are quite smitten too! There’s just something magical about those glistening waters pouring themselves endlessly and unreservedly over beautiful rock formations. The sight and sound of them inspire peace and calm and inner quiet that most of us are missing in our fast-paced culture. 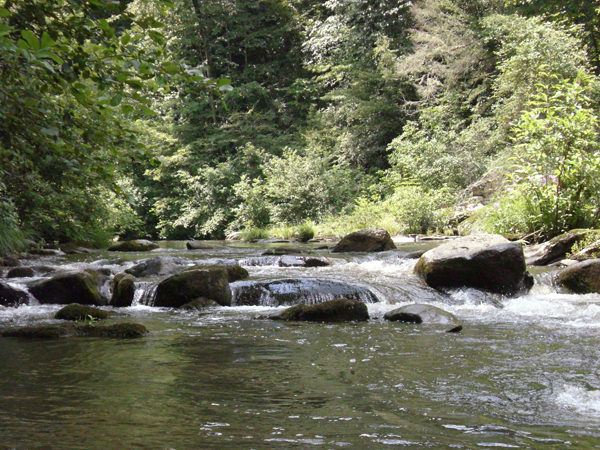 You can wade in the creeks, find swimming holes in which to take a dip, or simply lay down on a large rock in the middle of the creek and enjoy the peaceful roar of the water and the cooling mist surrounding you! 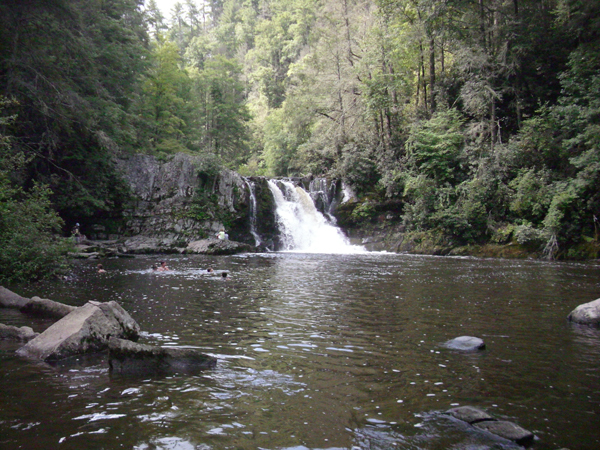 Check out our related post Waterfall Season. No matter where you stay, there are always great choices for swimming! Even if your lodging doesn’t provide a swimming pool, Gatlinburg, Pigeon Forge, and Sevierville each have community swimming pools that you can enjoy for just a couple bucks! The great majority of the lodging around here does come with access to a pool, however! 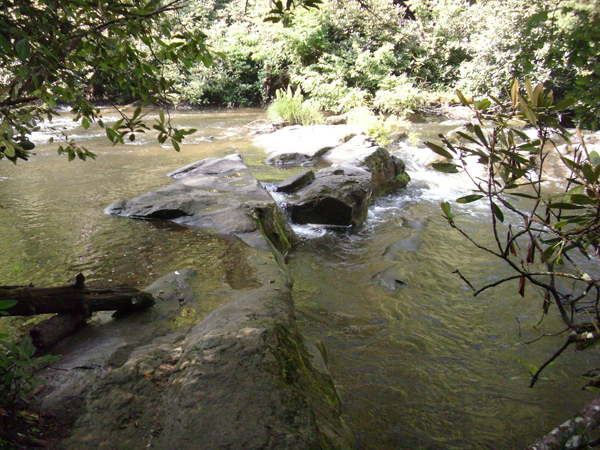 ERA In the Smokies offers several cabins with swimming pool access. See our related post Let’s Get Wet! And of course there’s Splash Country! Every time a scorcher of a day hits, my first thought is: “Splash Country!” They offer enough water attractions to keep you busy all summer. Besides a huge wave pool and my husband’s all time favorite- the lazy river, Splash Country boasts more than 23 water slides and thrill rides! See our related post Let’s Get Wet! I am in love with the great outdoors, but I have to admit, sometimes in the summer it’s nice to duck into an air-conditioned building! 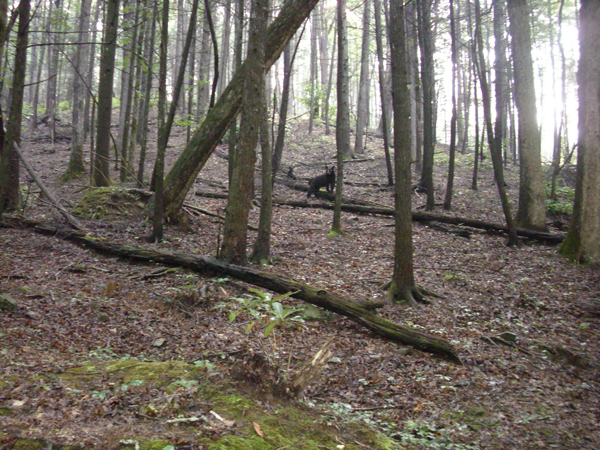 The Smokies area is just as much fun inside as it is outside! One of the favorite activities here year-round is the show or dinner show! There are tons to choose from, and it makes for a perfect evening, whether you’re here in the dead of winter or the balmy summer months! See our related post for some of our favorites: Dinner and a Show! The perfect way to enjoy the cool indoors on a hot summer day is in the comfort of your own cabin or chalet! Enjoy all the comforts of home while leaving behind the stresses and adding a few luxuries! Have a soak in the indoor whirlpool tub. 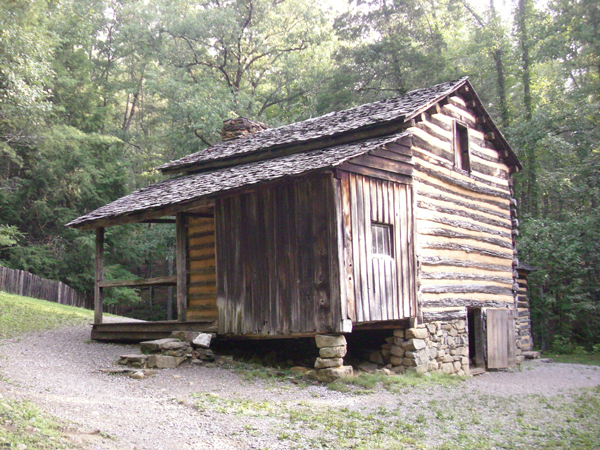 Prepare a simple dinner at the cabin for a relaxing evening and quality family time. 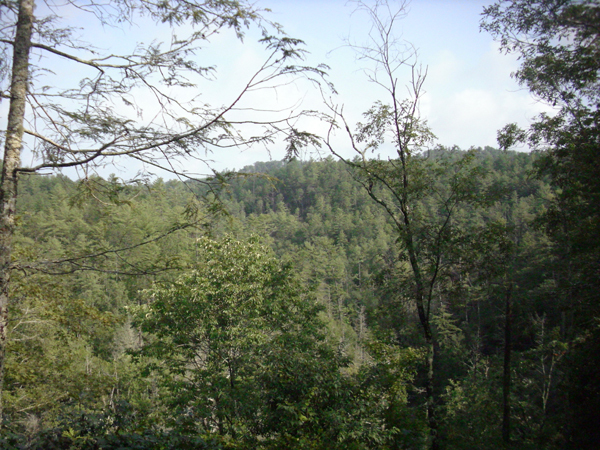 Sit in the shade of a covered porch, enjoying the rocking chairs and great mountain views or peaceful, shady wooded views. Rent a cabin or chalet with a gameroom, like Black Bear Holler, for hours of entertainment in the cool indoors!